I took quite a few photos today. I find the morning light, blue skies, and buildings to be irresistible. But these were my two favorite photos today. 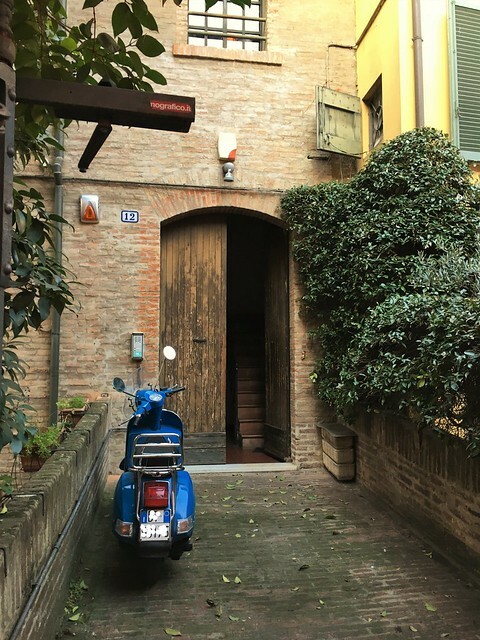 And more and more I find myself wanting a Vespa. So clichéd, but I can’t help it. If it’s a blue one like that, I don’t see how you could resist. Great photos! 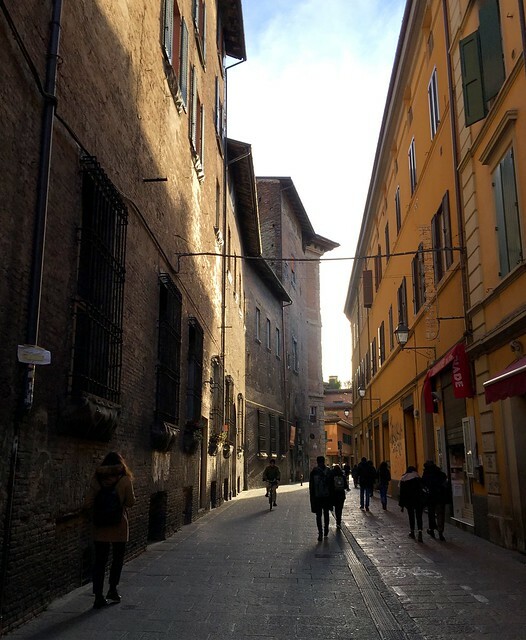 Bologna is beautiful, and it’s not far from Recanati — a smaller medieval town, equally rich in literary history.